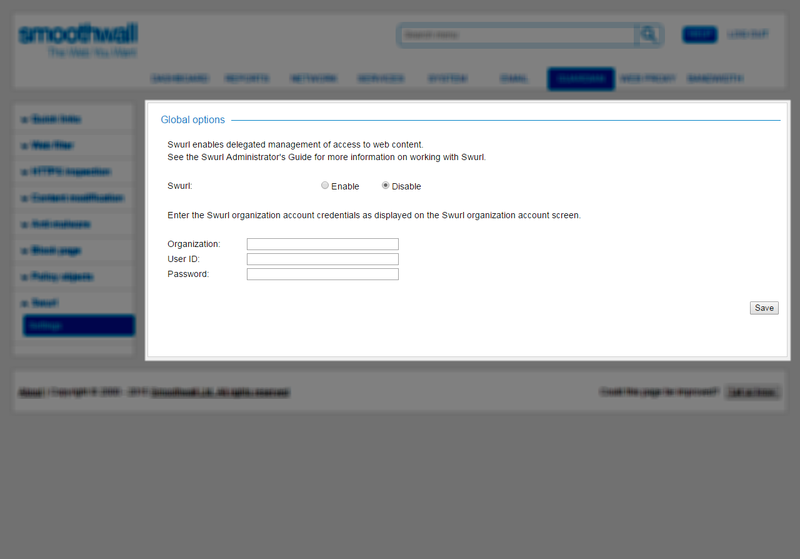 Before your organization can deploy Swurl, the organization account must be configured on your Smoothwall System. 3. On your Smoothwall System, go to Guardian > Swurl > Settings.